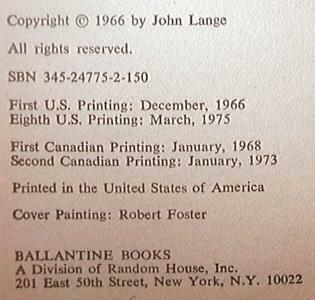 Note the addition of Random House. 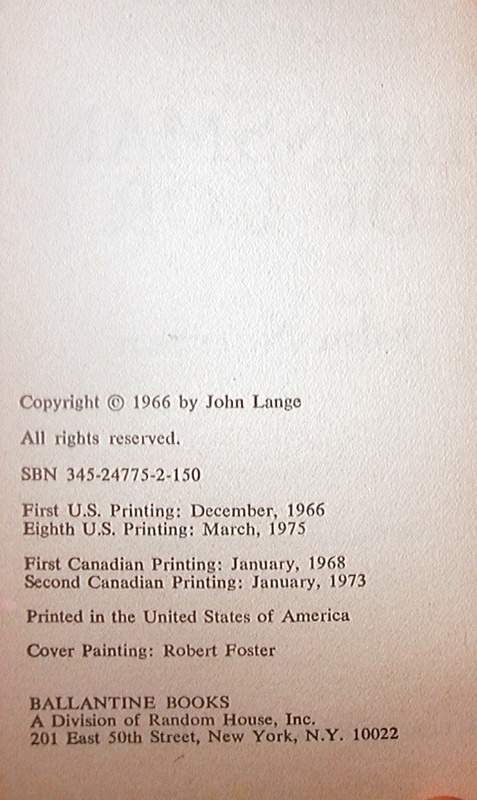 ISFDB lists this printing as published in August, 1975, but the copyright page clearly states March, 1975. 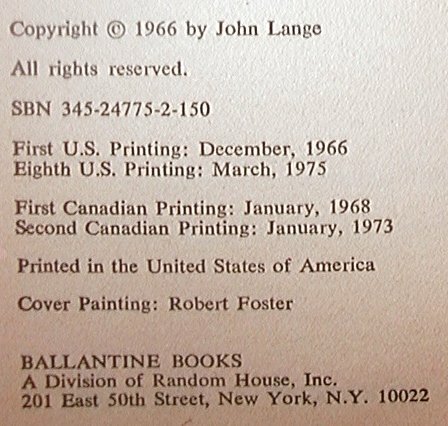 ISFDB is wrong. 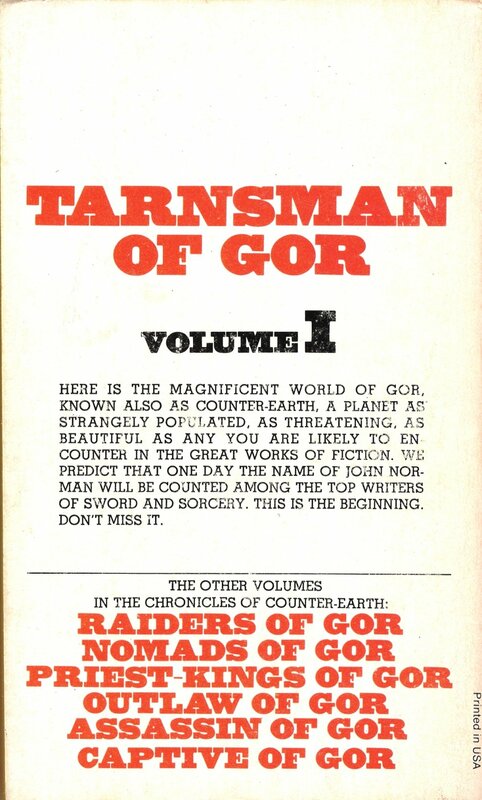 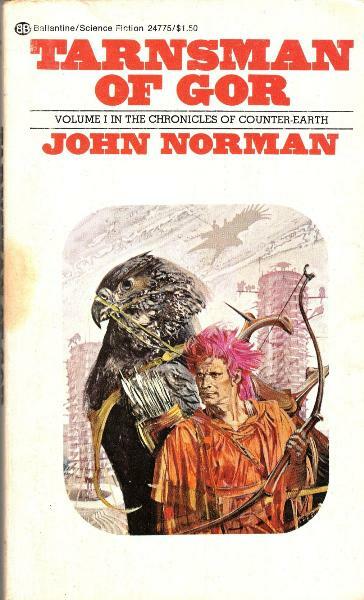 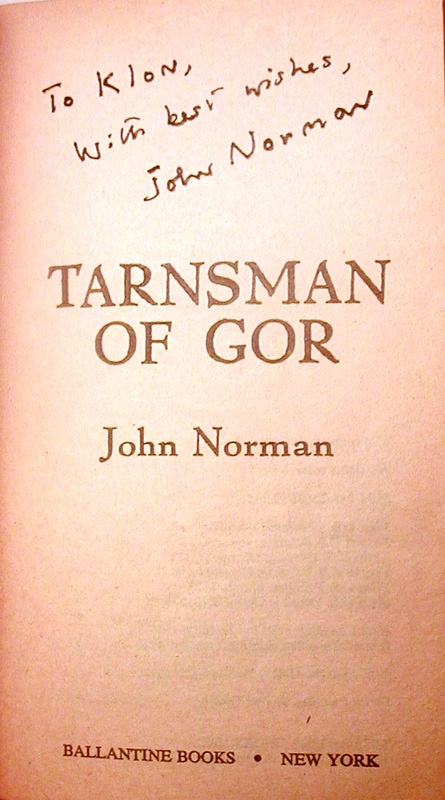 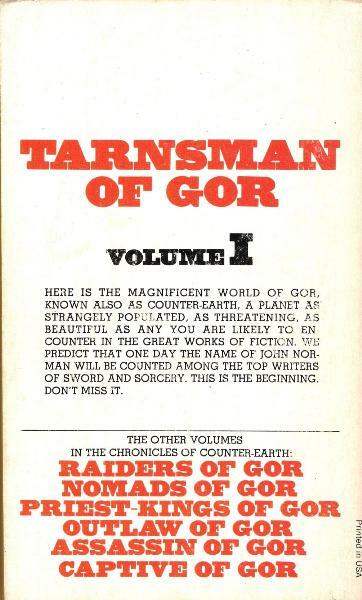 The front cover artwork by Robert Foster was first used in 1966 for the First Printing of the Ballantine Edition of Tarnsman of Gor. 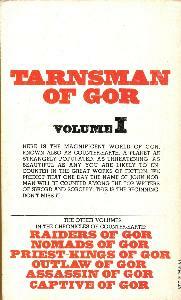 The design of the front cover is identical to the Fourth Printing, but the color of the title and author have changed from black to red.